The individual information, data or documents provided on this website or blog are copyrighted by the website or blog owner (Kabbyik Mitra). All website or blog design, text, graphics, interfaces as well as the selection, including the arrangements thereof are copyrighted by the yoga2all.com and their team. Permission to reprint, copy, download, save, electronically reproduce or use any document, website or blog design, text, graphics, interfaces as well as the selection, including the arrangements therefore on this website or blog, in part or whole, is expressly prohibited. The unauthorized change or alteration of the content of this website or blog yoga2all.com is expressly prohibited. 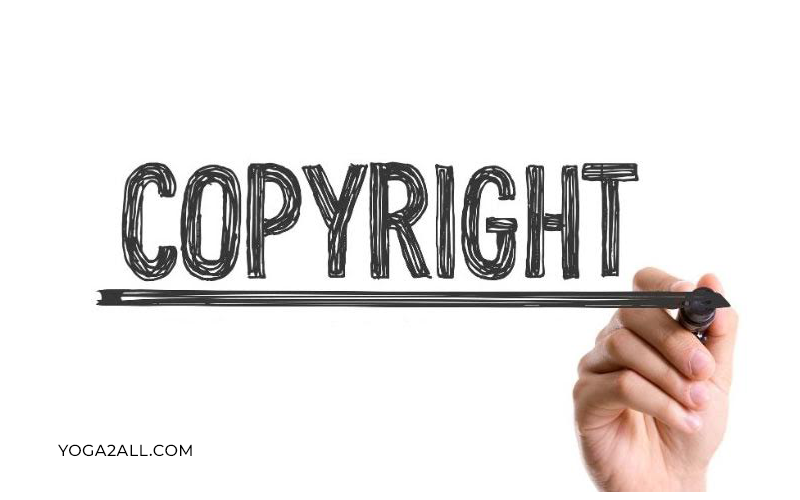 The website or blog, its owner(s), agent(s), as well as representatives, shall not be responsible for any and all the products as well as trademarks of their respective owners. None of these owners have sponsored, authorized, endorsed or otherwise approved this website or blog. In no event shall yoga2all.com and or its owners or team, providers as well as authors liable or responsible for any errors, damages, losses, included but not limited to direct, indirect, punitive or consequential damages or any damages whatever, arising out of or in connection with the use, inability to utilize or performance of the data or information, services, products as well as materials available from this website or blog. These limitations shall apply even though any failure of important purpose of any limited diagnosis, therapy or treatment or remedy. Any legal controversy or legal claim or counterclaim arising out of or relating to this website or blog or the information or the document would be settled by way of the arbitration according to the Indian Arbitration Act. Any such issues or controversies or claims shall be arbitrated on an individual basis, and shall not be consolidated in any arbitration with any controversy or claim of any other party. The arbitration would be conducted in West Bengal, India, and judgment on the arbitration award may be entered into any court having jurisdiction thereof. Yoga2all.com will immediately unsubscribe any individual from its mailing list whether he or she desires.